Every parent wants what's best for their child and that includes their health and wellbeing. However, getting them to clean their plates doesn't always happen. 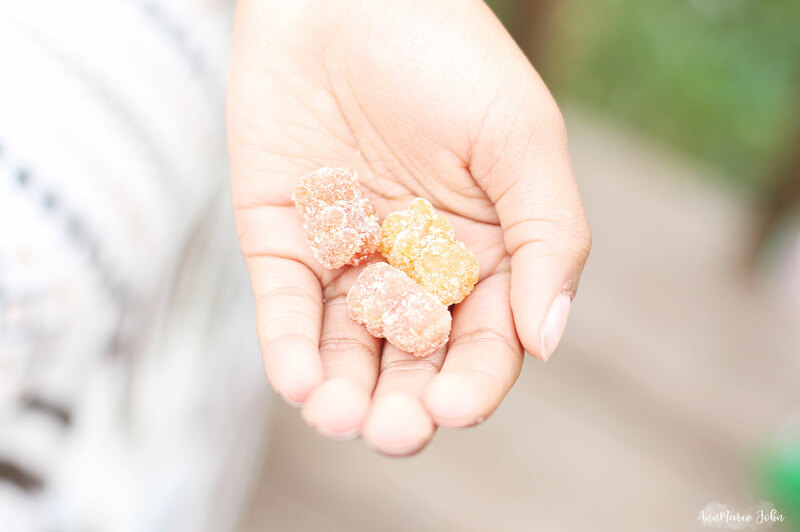 Today I share why I give my child a multi-vitamin. Madison is a happy and healthy little girl, but she's also a finicky eater. If I don't 'force' her to eat at times, she would refuse to eat completely, or her favorite excuse would be "I'm not hungry". I've taken her to see a nutritionist and we've worked out a treatment plan, but one of her recommendations was to give her a multi-vitamin. When it comes to what I put in our bodies, I always try and go as organic as possible. While I would LOVE to grow my own fruits and veggies, and maybe even have my own farm, that's not possible, especially since I have a black thumb. So I was happy when Mom's Meet asked me to give Yummi Bears Organics Complete Multi-Vitamins by Hero Nutritionals a try. 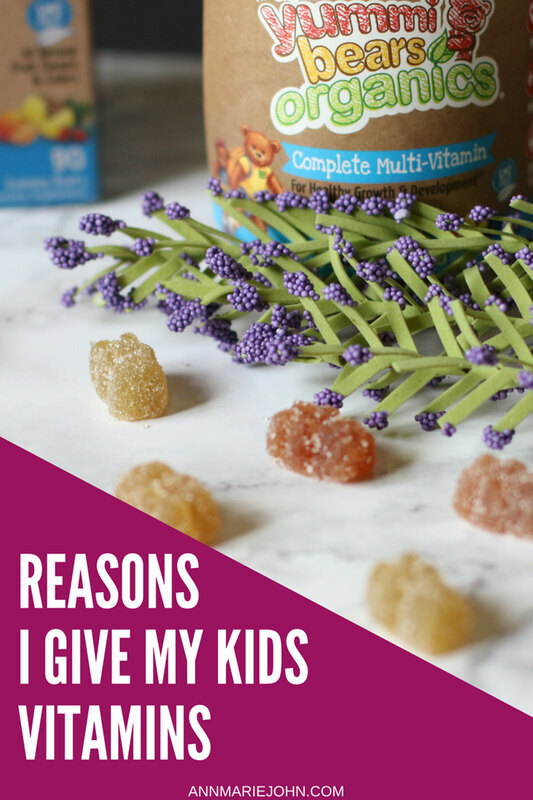 Before I go into what I liked and didn't like about Yummi Bears Organics Complete Multi-Vitamins, I want to first share with you, 2 reasons I give my kids vitamins. Vitamins are supposed to be just that... supplements. They are meant to fill nutritional gaps and are not meant to be the end all. For example if your child hates anything that you cook that may give them iron and they have an iron deficiency, giving your child an iron fortified supplement may be just what they need. Since I have a very picky eater, I know that she's not getting all the nutrients that she should be getting, so I give her a multi-vitamin to supplement what she's missing out on. While we're very high in altitude here in Colorado and it seems as though we're extremely close to the sun, we tend to stay indoors as much as we can. Madison while she loves milk, does not drink as much as she should and she also doesn't eat as much veggies either. So while she's not deficient, I give her extra calcium and vitamin D to boost what she already has. Now as with all vitamins, please keep out of reach of children because while they may look and taste great, they're not candy. 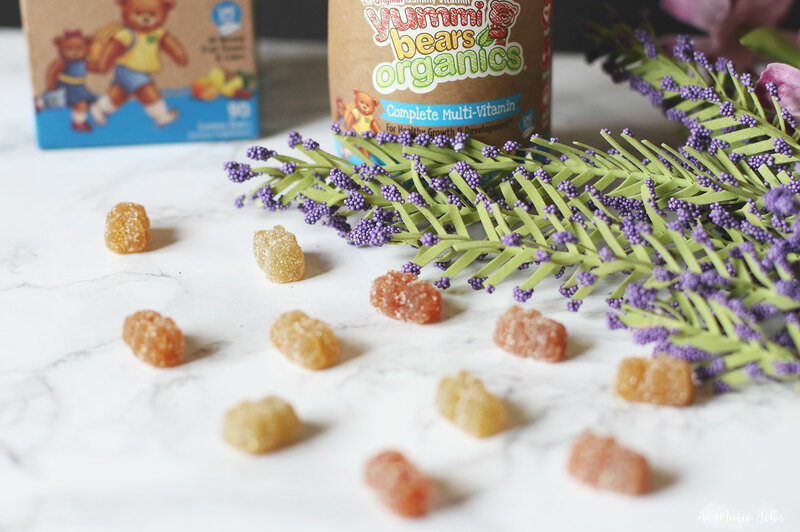 So what do I like about Yummi Bears Organics Complete Multi-Vitamins? It's one of the first vitamins that Madison did not mind taking, and the one she actually asks for. 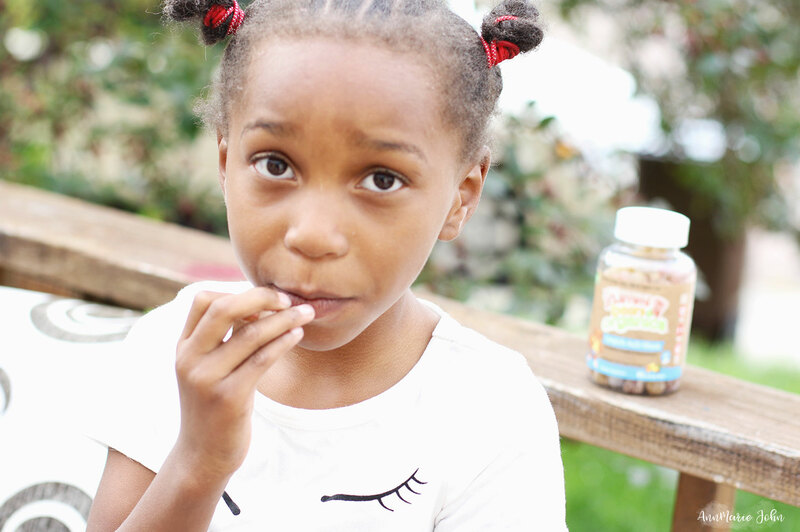 As a preschooler it can be difficult for her to take a pill, so having it in a gummy form made it very easy. The flavors were also an added bonus. While she loves strawberry, the orange and pineapple were great too. I also loved that they're organic which was a HUGE plus for me. It's also GMO-free and has nothing artificial. No artificial coloring or flavors. Absolutely nothing! What didn't I like about Yummi Bears Organics Complete Multi-Vitamins? The sugar, even though it's organic cane sugar. While Madison loves them, I was not a fan of the sugar that you can actually see on the gummies. Overall, this is a great way to supplement your child's diet with the vitamins that they may be lacking, and I already plan on buying a new package once it is finished. Hero Nutritionals Vitamins are available to purchase at: Whole Foods Market, Sprouts Farmers Market, Ralphs, Kroger, Smart & Final, GNC,Vitamin Shoppe, Jimbo’s, amazon.com, and costco.com. To find Hero Nutritionals Vitamins in your area, visit: heronutritionals.com/store-locator.com for the full list of locations.